It was a duel-booking on Friday at Pfitzner Stadium in Woodbridge, Va. The Potomac Nationals and fans were celebrating NASCAR Night and Country Night. The combo lived up to its billing and provided quality entertainment for nine innings. The defending Carolina League Champions took the field to face the Salem Red Sox. 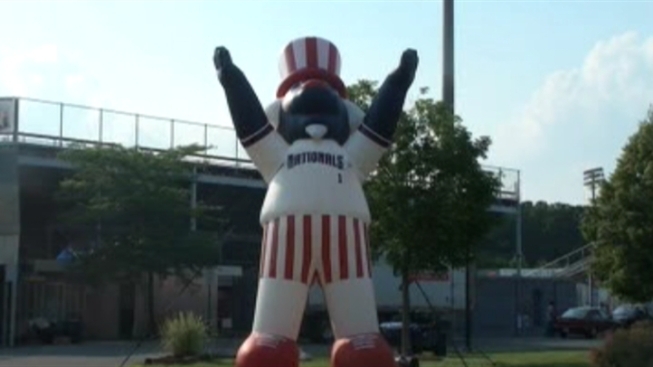 With championships in 2008 and 2010, the P-Nats have gained a dedicated fan base. Whether it was a mock NASCAR race around the bases, a petting zoo with ponies and goats, or a pig-calling competition, there were few dull moments. In fact, other than than the P-Nats' walk-off win, the pig-calling competition received the loudest applause from the audience all night. General manager Josh Olerud discussed some of the things that make P-Nats games at Pfitzner Stadium an all-around fun experience. "We try to do things that appeal to a whole broad spectrum of fans," Olerud said. "Tonight is a family-fun type of atmosphere." The team focuses its family-oriented activities on weekend games while other specials -- such as discounted tickets and drinks -- are available during the week. The kid-zone was a popular destination for the younger fans in attendance on this night and featured the petting zoo, an inflatable slide and -- a classic Minor League staple -- a guess your pitch speed game, which was creatively set up in the P-Nats batting cage. Games at Pfitzner offer a unique experience in that fans and players interact often due to the intimate atmosphere the stadium creates. The concourse runs behind both clubhouses and players could be seen walking around, making phone calls and even mingling with fans. Combine this with the fact that there wasn't a bad seat in the house and you've got a good place to watch a ballgame. To top it off, the P-Nats ended the game with a walk-off victory. Destin Hood ripped an RBI single off the left field wall to score Eury Perez for the winning run. The small crowd was very loud in the bottom of the ninth in support of their team, giving a standing ovation as the team celebrated enthusiastically on the field. Passionate fans, unique entertainment and the opportunity to see some of baseball's youngest prospects made the P-Nats at Pfitzner Stadium a memorable experience.